Technical Translations: How Will the NAFTA Renegotiations Affect Your Business? In August, 2018, President Donald Trump renegotiated a portion of the North American Free Trade agreement, more commonly abbreviated as NAFTA. While most businesses in the United States will be indirectly affected by these changes in one way or another, businesses that regularly trade with Mexico are likely to be directly affected by the altered agreement. 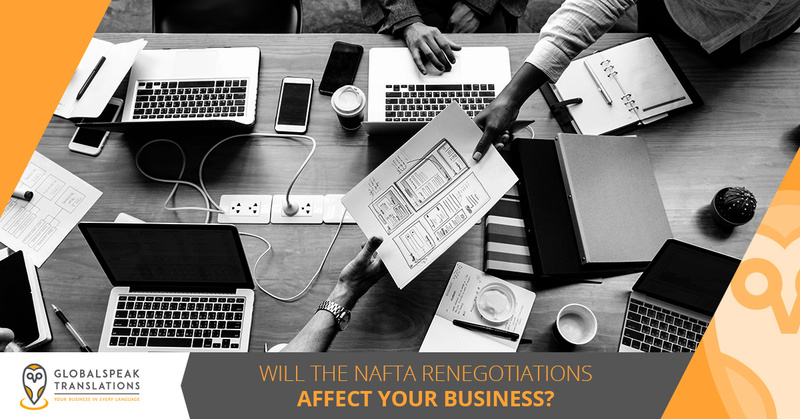 In today’s post, we will provide you with a high-level overview of how the NAFTA renegotiations could affect your business. GlobalSpeak Translations is proud to be your trusted resource for technical translations across a wide range of industries. With a dedication to precision and exceptional service, you can trust us to help your business with anything from healthcare document translations to translations for the oil and gas sector. Continue reading below to learn more about NAFTA’s possible effects on your business, and give us a call or fill out our short contact form to get started with a project quote. In 1987, the United States and Canada entered a trading partnership, but not just any trading partnership. The two countries entered into a free trade agreement, which basically means that goods and services from both countries could be traded across borders without added costs, also known as tariffs. While this agreement between Canada and the United States was nullified in 1992, it led to the development of a larger free trade deal between the United States, Mexico, and Canada. The NAFTA agreement officially took effect in 1994 and was signed by the United States, Mexico, and Canada. 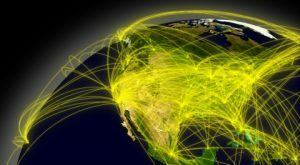 We will not get too specific in this blog post, but you do need to understand one key point about NAFTA: the free-trade agreement did not take full effect immediately; the United States gradually taxed goods and services imported from Mexico and Canada less and less after NAFTA’s instatement before the taxes were eliminated entirely in 2008. What Do the NAFTA Renegotiations Mean for Your Business? President Trump has renegotiated certain aspects of NAFTA that will affect some portions of the manufacturing sector, with automotive and steel manufacturers feeling the bulk of the impact. Under the current changes to NAFTA, automotive manufacturers will be required to produce at least 75 percent of a vehicle’s value in North America (raised from 62.5 percent) in order to benefit from NAFTA’s tariff eliminations. Manufacturers will also need to use more domestic materials like aluminum and steel instead of importing these materials from around the world. This could make production costs more expensive, depending on the cost of domestically sourced materials. While we will need more time to determine the actual effects of these changes on the manufacturing sector, the oil and gas industry will remain directly unaffected by the recent NAFTA renegotiations. 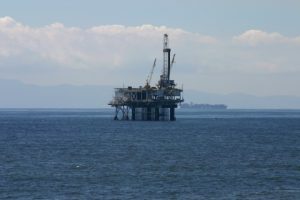 The United States and Mexico have now agreed to limit the kinds of lawsuits that can be brought against foreign governments by different industries, though the oil and gas, energy, and telecom industries will abide by NAFTA’s previously agreed upon terms. While this has been seen as a positive exemption for the oil and gas sector, the changing prices of materials like steel, aluminum, and other manufacturing precursors could make the costs of construction and infrastructure more expensive. So, what does NAFTA’s renegotiation mean for your business? The answer depends on your industry, and in which country your business operates. If you are directly involved in automotive manufacturing, then you have probably been keeping up with the day-by-day updates and have an idea of what you can expect when domestic and foreign material prices fluctuate. The United States imports just under $300 billion worth of goods each year from Mexico, including oil. If your business is housed within the Mexican oil and gas industry, then your business could be affected by any future tariffs the United States imposes on oil. This is a high-level overview of the recent negotiations, so please do not be alarmed if you feel like the nuances of the agreement are beyond your grasp. Economists, professors, and other experts will be debating the implications of NAFTA for years, and we are not here to weigh in with a stance on the issue. 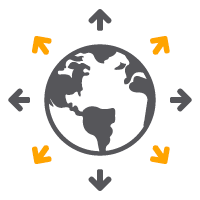 For now, we would simply like to encourage you to keep your international business relationships strong. 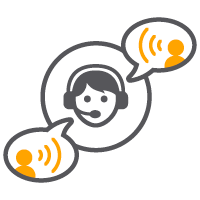 Continue to trade and build mutually beneficial relationships, and turn to GlobalSpeak Translations whenever you need technical translations. 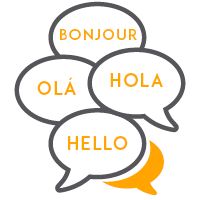 You want your business to be seen as professional both domestically and abroad, so do not take the risk of hiring a translation company that could damage your professional image. Instead, work with a Top Rated National® translation business with a substantive track record of success. As we noted in a previous blog, we are incredibly excited to report that we have been nominated to the LSU 100! 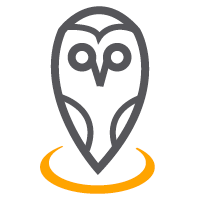 We plan to update our blog with updates as they occur, so check back frequently to keep up with the latest information.